Hello, friends! It's time for another awesome Simon Says Stamp Wednesday Challenge! This week, it is Hip to be Square! Yes, that's right, we want to see your square inspired cards and projects! The Design Team is featuring Simon Says Stamp exclusives this week! You know how much I LOVE my Simon exclusives!!! 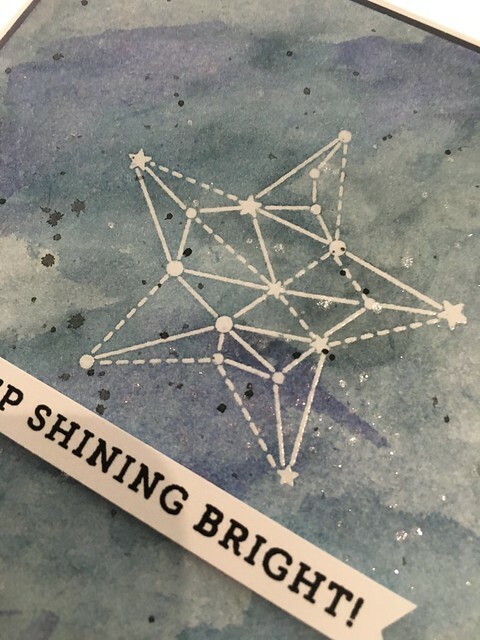 I decided to use the absolutely gorgeous Seeing Stars stamp set. I LOVE these stamps so much! 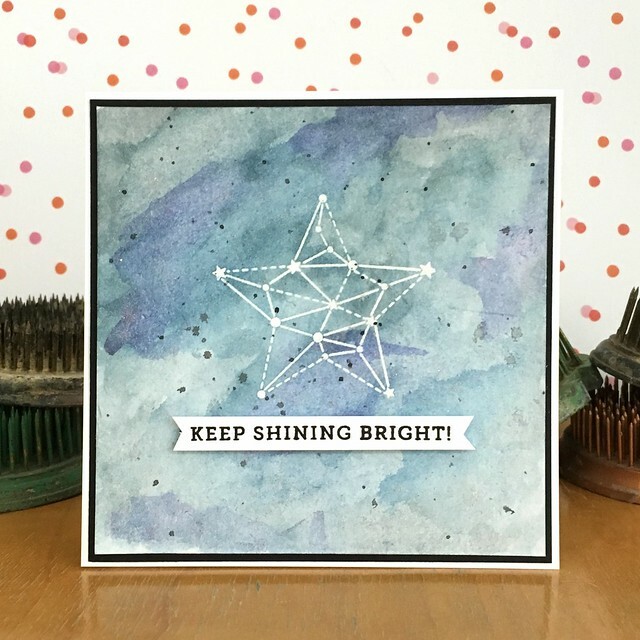 I stamped and embossed the star in the center and used watercolors to create the background. I love how it turned out! Watercolors are so much fun!!! I then stamped the sentiment on white and adhered it with some foam tape to pop it up a bit. Nice and easy and it stands out wonderfully! I used Spectrum Noir Clear Sparkle pen to add bits of shimmer to the design. It is so pretty! The photo below is a little dark, but you can see the sparkle! Now it's YOUR turn! Create something awesome based on the Hip to be Square theme and link it up over on the Simon Says Stamp Wednesday Challenge blog for your chance to win a $50 Gift Certificate to the Simon Says Stamp Store! Fab card, Jennifer! Loving the background! Love the foil accents and the color so far is great. Looking forward to learning more from the class.